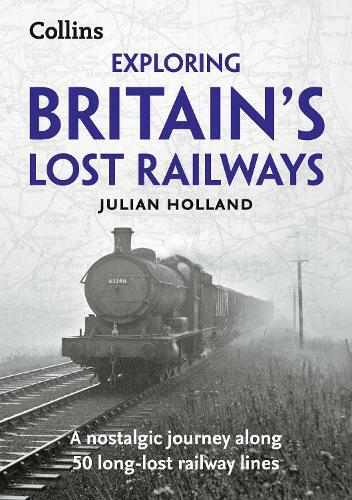 Exploring Britain's Lost Railways gives the historical background to over 50 lost railway lines, along with descriptions of the route today for walking and cycling. Each route is highlighted on historical Ordnance Survey mapping, showing which parts can still be followed today. The carefully researched text is accompanied by historical photographs showing each line in operation prior to its closure, as well as specially commissioned images from the present day. Thousands of miles of Britain's railways were closed during the 20th century, many following the implementation of the `Beeching Report ` in the 1960s and early 1970s. Since then, many have been converted to footpaths and cycleways. Fortunately, both the keen walker and the railway enthusiast can enjoy these well-worn routes and hidden byways in peace and tranquillity. Follow the routes of over 50 long-closed railways across some of our most beautiful countryside and discover the lost railways of Britain. Exploring Britain's Lost Railways is an essential armchair companion for every railway enthusiast and outdoor adventurer.